Today is the day. 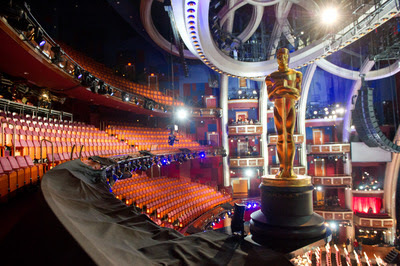 The 84th Academy Awards are taking place tonight in Los Angeles at the Hollywood & Highland Center. 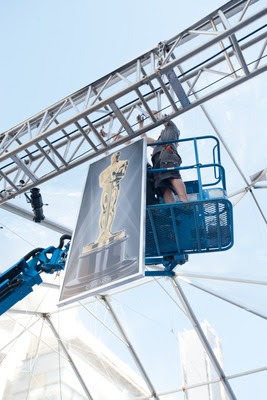 The stage was set with the construction of the lighting rigs and the laying-down of that famous red carpet. Rehearsals for the ceremony itself have also been taking place; with the venue looking dazzling inside! 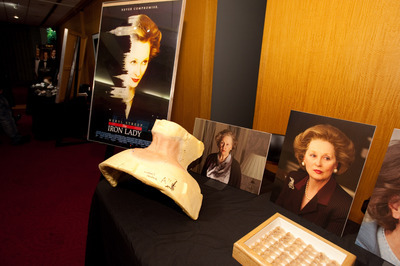 The Make-Up Symposium, looking at the skilled work of the nominees in this category, took place on Friday (25th). 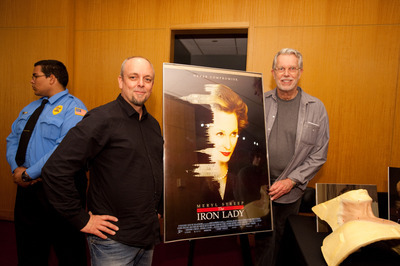 Mark Coulier and J. Roy Helland were on hand to reveal some of the secrets behind the creation of Meryl Streep as Margaret Thatcher in The Iron Lady. 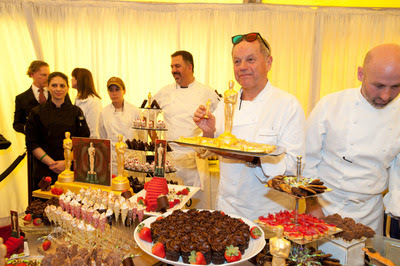 The long-awaited preview of The Governors Ball also took place last week. This is the celebration immediately following the ceremony itself. Champagne Metallic Mesh, Charcoal Sequin Tulle, Bronze Embroidered Circle Silk, Beige Metallic Damask, Pewter Circle Ribbon Taffeta, and custom Charcoal Tufted Rhinestone. A deep red flocked damask pattern accents the whole colour palette. The attire of the servers is to be just as sophisticated. 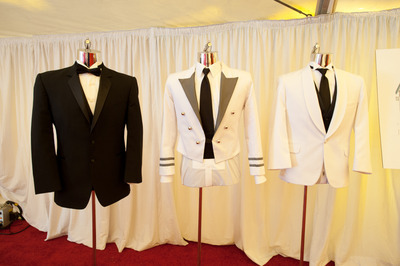 The food these stylishly dressed servers will be dishing up has been created by celebrated chef Wolfgang Puck. This will be his 18th time serving the Academy's 1500 guests. The 2012 menu created by Puck and Chef Matt Bencivenga embraces the social arrangement of this year’s Ball; it features more than fifty dishes, from one-bite hors d’oeuvres to small-plate entrees that will be passed throughout the evening. With visual artistry and eclectic flavors, signature favorites such as smoked salmon Oscars®, chicken pot pie with shaved black truffles, and Pastry Chef Sherry Yard’s gold-dusted chocolate Oscars will appear alongside inventive presentations such as lobster tacos with tomato and pickled Shallots, and beet salad with pistachio butter, burrata and citrus balsamic. The menu incorporates local produce and sustainable seafood, and its surprise sweets pay homage to the future of Oscar in 3D. 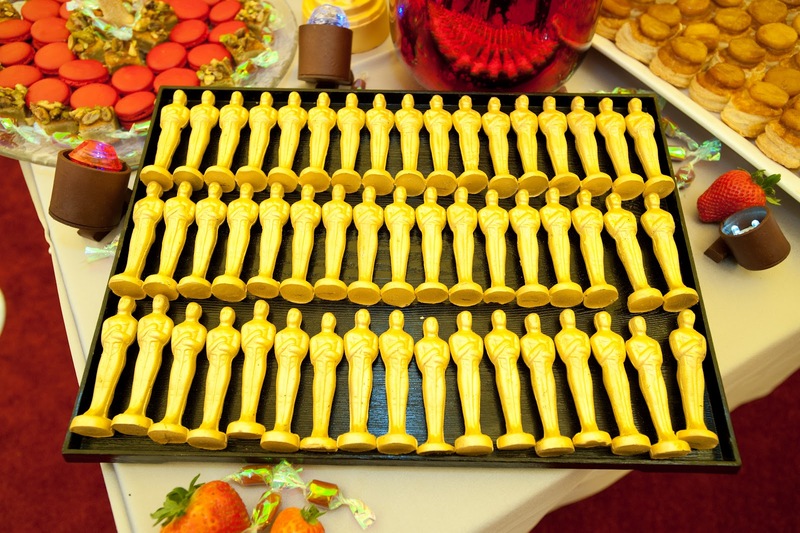 Whether you are tucking into it yourself, or enjoying the ceremony from home, have fun!